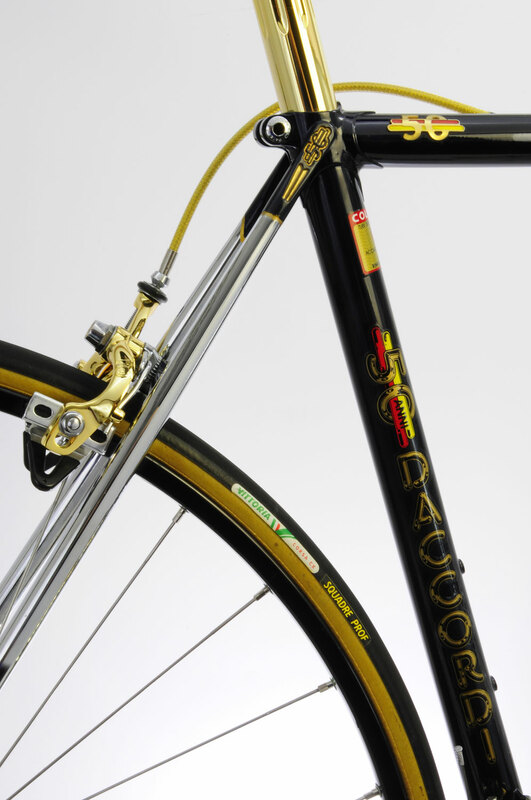 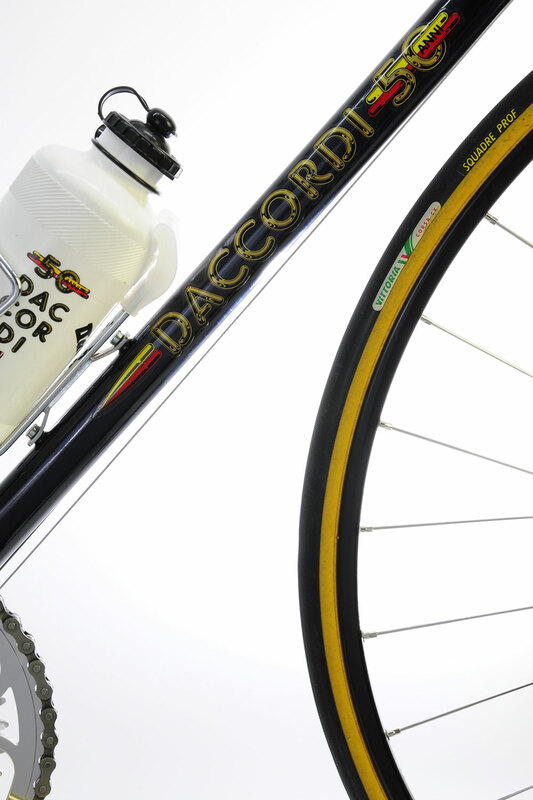 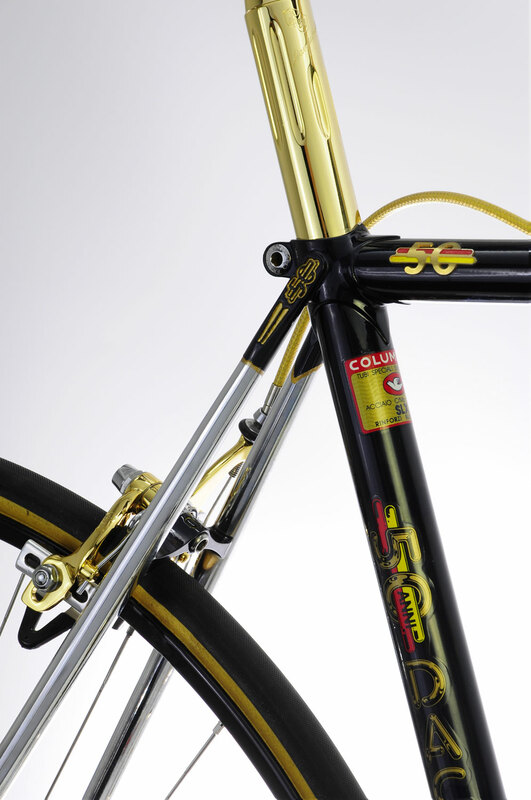 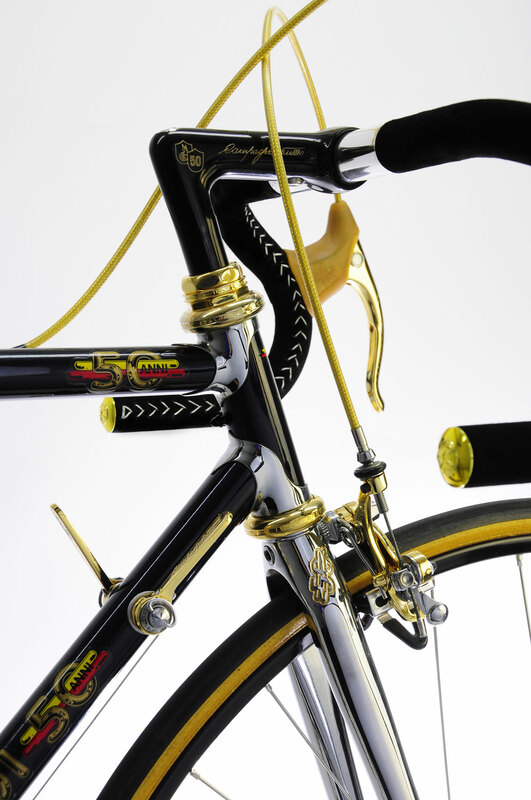 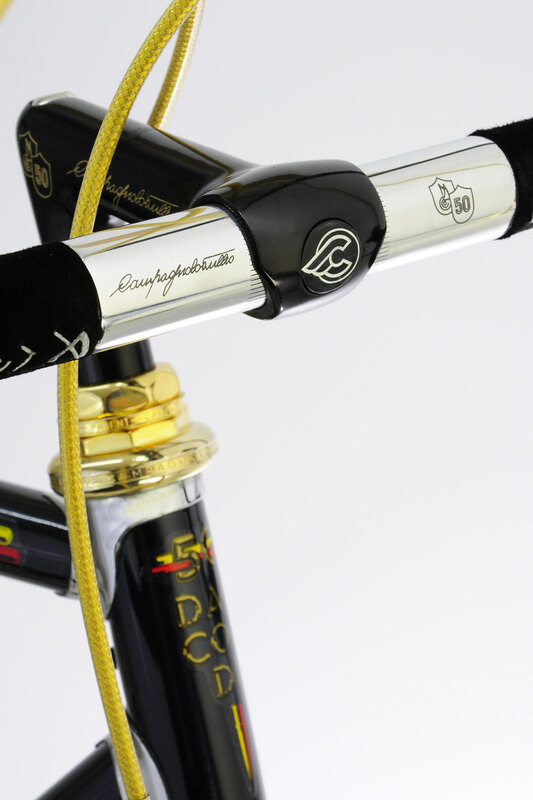 In 1986 Luiggi Daccordi celebrate his 50th anniversary as a framebuilder with an Limited Edition of frames. 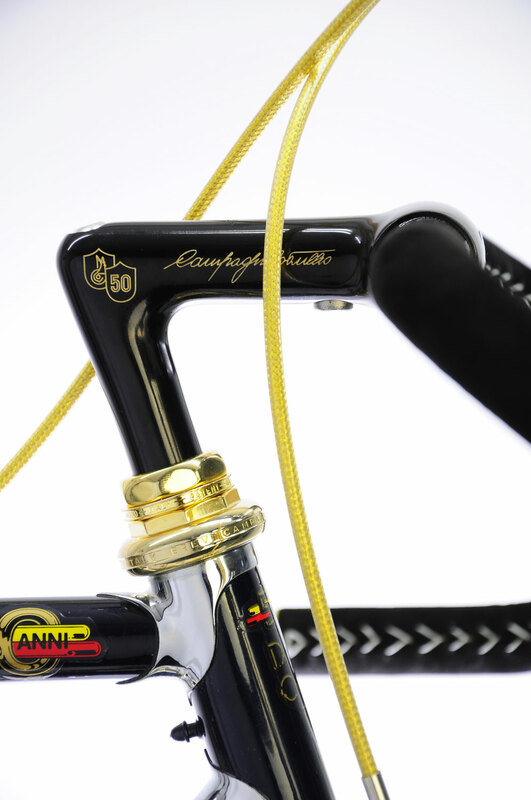 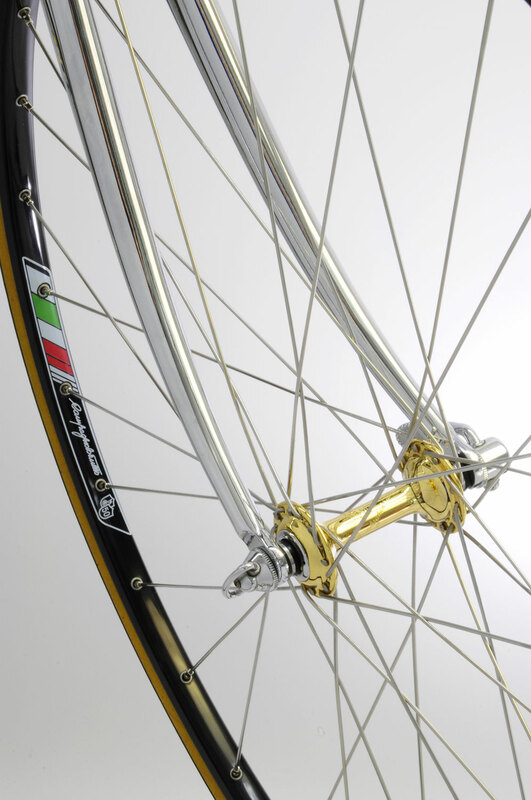 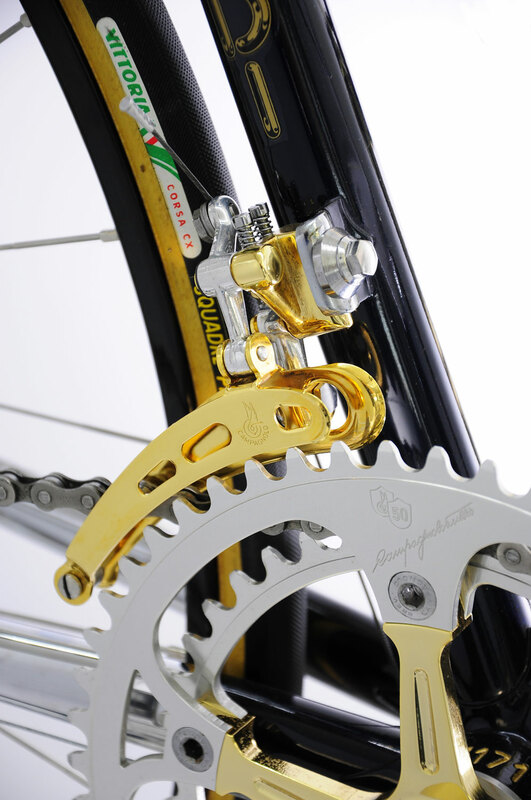 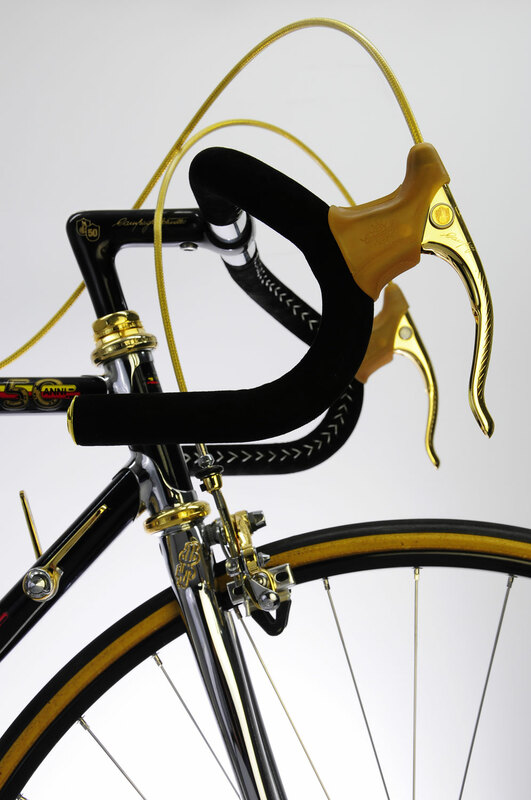 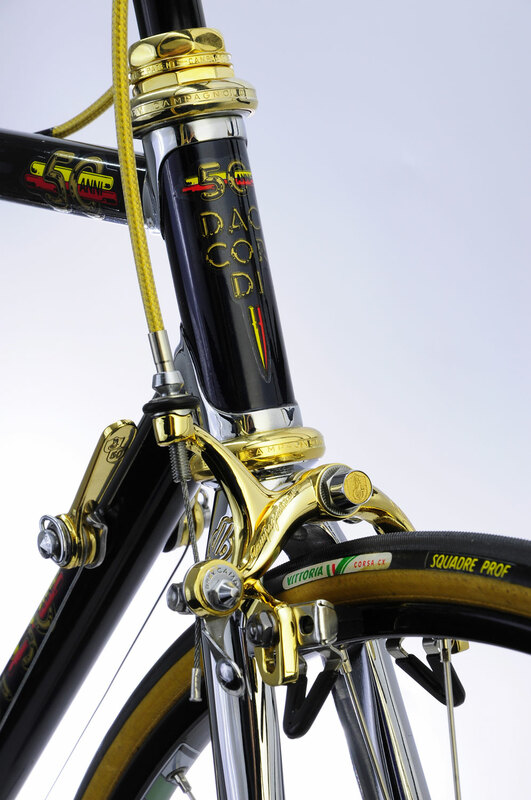 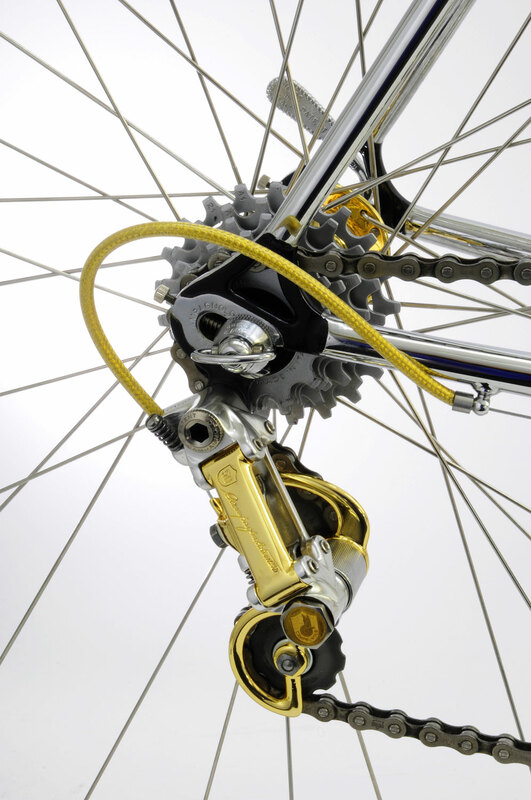 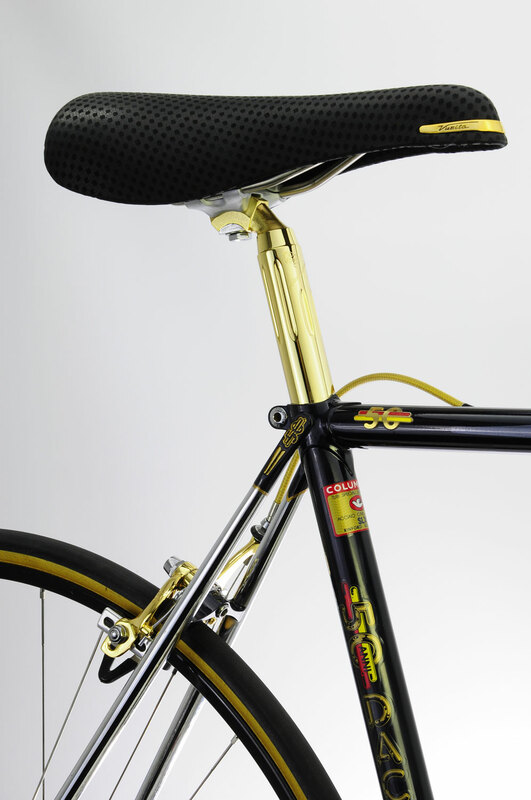 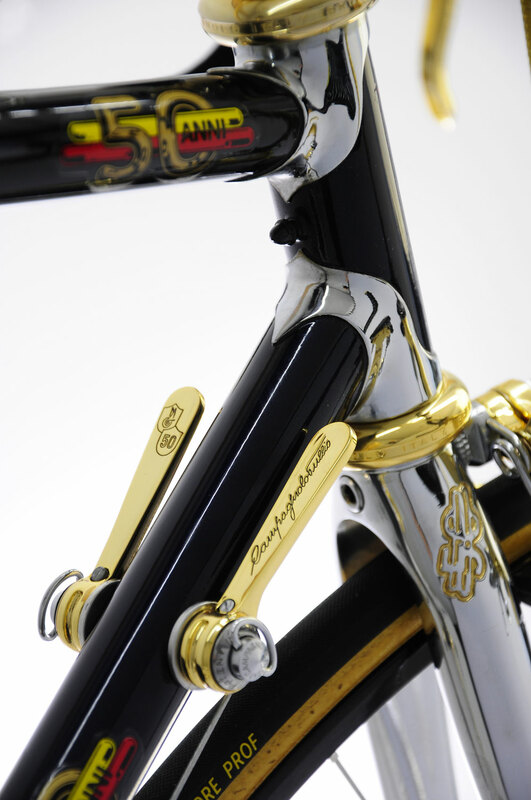 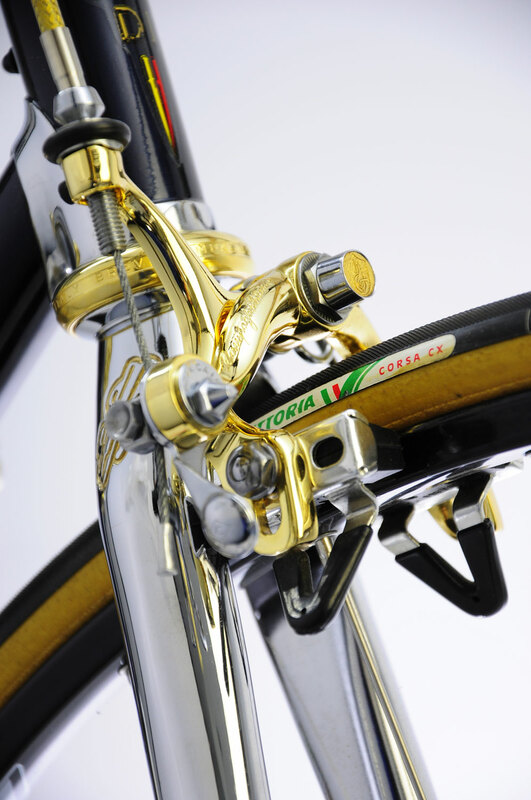 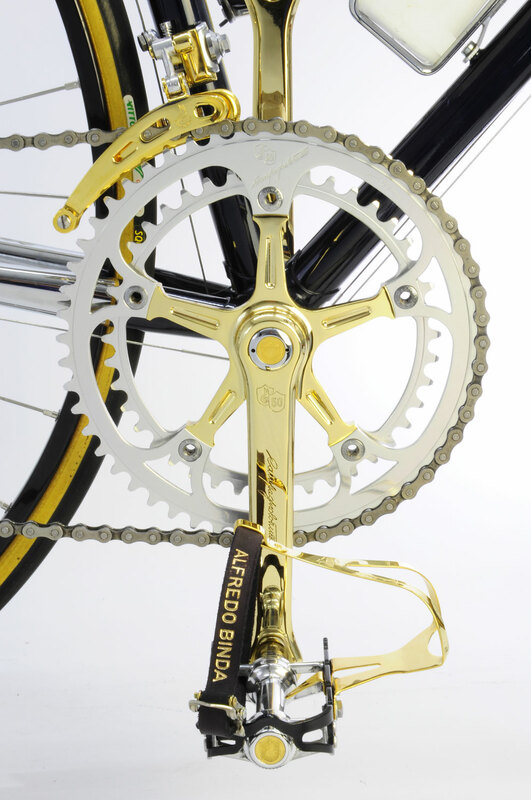 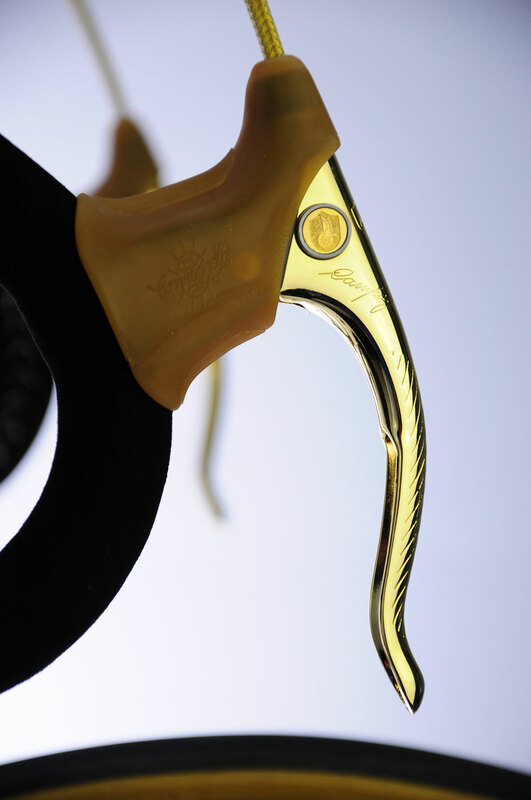 Mounted with the very famous Campagnolo 50th upgrade with gold. 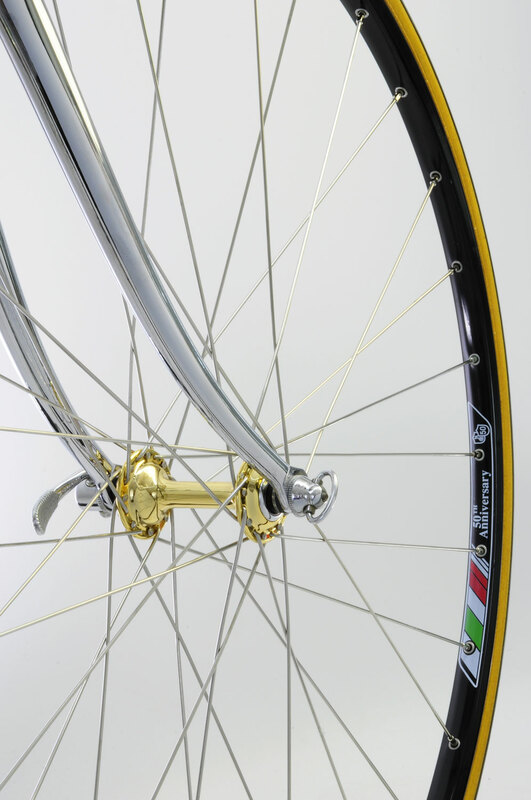 Size 51x52, absolutely 100% New Old Stock.